Welsh Highland Railway ex South African Garratt No. 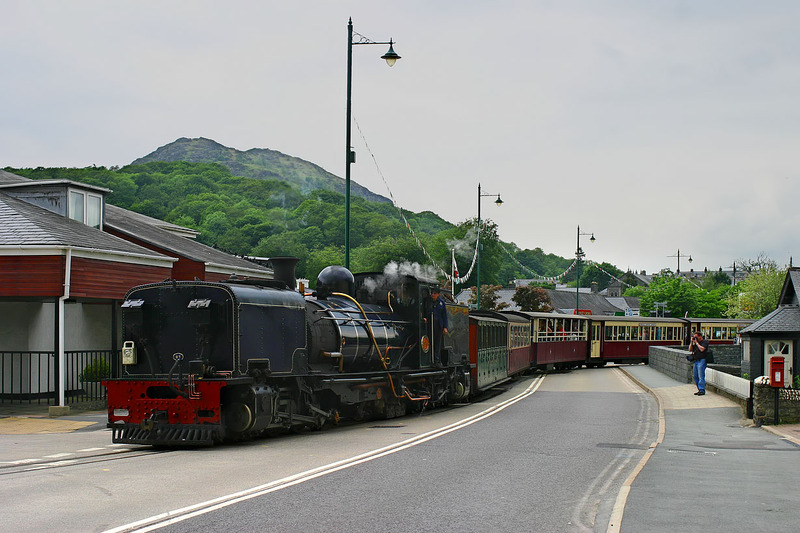 87 weaves across Porthmadog High Street, as it arrives at the Ffestiniog Railway's station with the 12:55 service from Caernarfon on 2 June 2012. As well as the impressive scenery further up the line, this long level crossing with the track actually running along the road for a short distance is one of the highlights of the line.